A collection of fine art aerial photography, videography, apparel and reviews by Aldryn Estacio. I specialize in creating large format, unique panoramic aerial compositions for your home or office. All of my photography prints are manufactured on the highest quality acrylics and metals and my apparel is printed on premium tees. Flytpath is a passion brand created by Aldryn Estacio to display his love for aerial photography and videography. Since inception back in 2013, FlytPath has grown from an aerial photography portfolio site, into a YouTube influential channel, helping the drone industry with product reviews, tips and tutorials. A portion from every purchase will go toward the Susan G Komen Cancer Foundation. Breast cancer has effected his mom and many other family members, so adding this cause to the campaign was only fitting. As a designer, photographer, content creator, youtuber and artist, the hardest thing to do is to put your work out into the world for people to judge. The one thing I learned over the years, is that you will never satisfy everyone. But as long as you are happy with your work at the end of the day, then that's all that really matters. Being focused on Youtube for past couple years, I'm still hesitant to publish some of my content. I've come to realize that Done is Better than Perfect, and all I really need to do is JUST POST IT and move on. Born and raised in San Diego, Aldryn has been all over town exploring and documenting the city most of his life. But things changed in 2013 when he purchased his first aerial photography platform. A radio controlled quadcopter created by Dji.com turned the skies over San Diego into his playground. Aldryn has been flying what he calls his “Tripod in the Sky” for a couple years now and is rediscovering his own city every day. Because of the angles and locations this flying camera can be placed into, the perspectives achieved are all one of a kind. 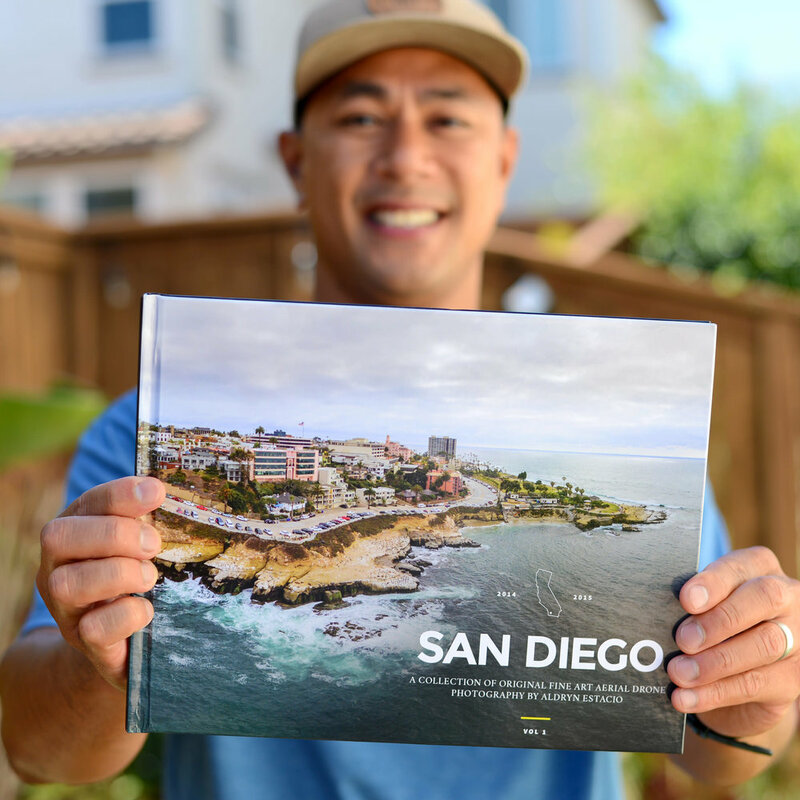 This is the very first published all aerial drone coffee table photography book of America’s Finest City, San Diego, CA. Aldryn also has a very unique style of shooting his photos. He shoots multiple layers of photos from one position in the sky and stitches them together to create larger composition. He explains a little more of his technique in the book. • What Flying Cameras Do I Use? Some locations and iconic landmarks include: La Jolla, Del Mar, Balboa Park, Mission Valley, Encinitas, Coronado, Imperial Beach, Mission Beach and San Diego State, USD, Lake Hodges and Rancho Bernardo to name a few. FlytPath is always striving to produce the highest quality products. The aerial photo itself will always be one of a kind, so we wanted to make sure that our prints stand out from the crowd. We aim at producing the most stunning installations and face mount acrylics to create that wow factor. FlytPath uses the highest grade Trulife Acrylic. This product was developed specifically for face mounting. Trulife provides a contemporary look for fine art photography to ensure brilliant colors and a true to life appearance that other acryclic products simply can’t match. That’s because it is manufactured with a proprietary anti-reflective coating that creates a nearly invisible surface, eliminating distracting reflections and annoying glare associated with others acrylics. Know that there are a few type of acrylics out there and we only go with the highest quality. We use a unique metal cleat hanging system that makes hanging extremely easy and flush. The 3/4″ float mount gives your piece that off the wall gallery feel and creates beautiful depth and pop when hung on your wall. Metallic paper with DiBond backing makes the print a solid and sturdy. Metal infused prints are that are float mounted, is the new modern way to display your art. 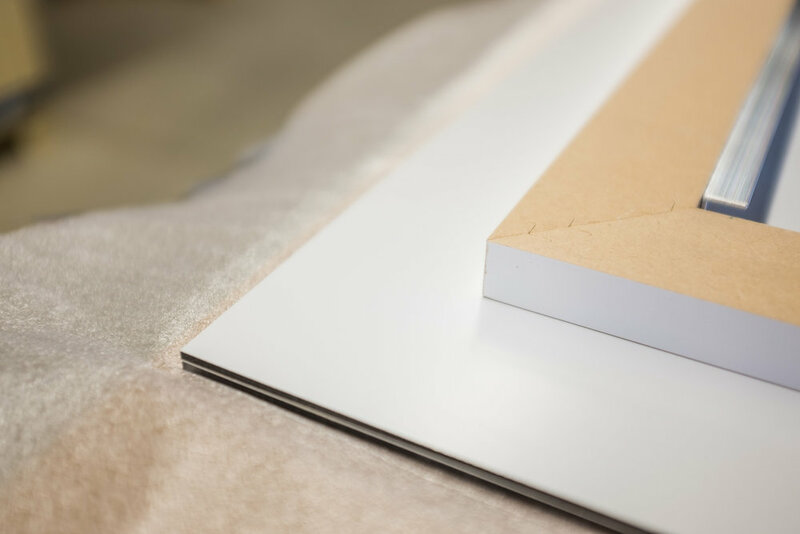 The vibrance and luminescence of a metal print separates your piece from the rest. Our process provides a depth and detail to your high resolution images that makes them look three dimensional. The translucent dyes and reflective quality of the aluminum lights up your images with color that pops off the metal. Metal prints are UV protected, durable, waterproof and weatherproof. These prints can easily be cleaned with water or glass cleaner. They are light weight, easy to hang and have that gallery appeal with at 3/4″ float mount.